You thought you have finally found salavation…you was wrong. You thought the location you had stumbled into, fleeing from those that would do you harm,was a safe place, you was wrong again. You thought the statue was just that,until the roar of the beast as it uncoiled itself from the pillar and gazed on you with contempt and disgust, you have never been so wrong. Who is the statue like figure before you? 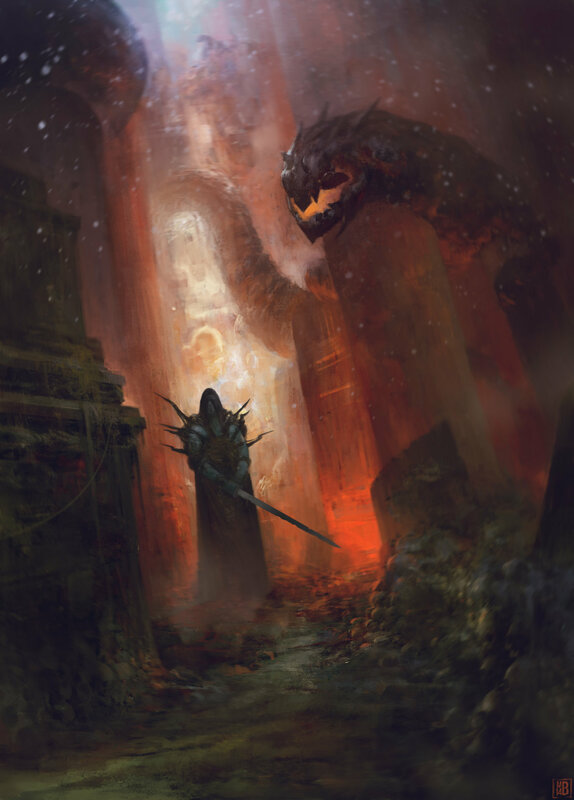 What is the beast by the pillars? Why are they here..Why are YOU here? Know a fantasy or sci-fi artist and wish to promote their page or artwork? Then get in touch via the contact page. 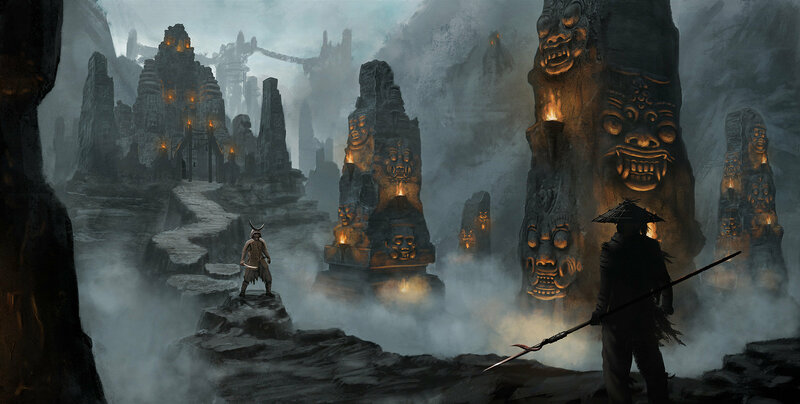 The two figures stand opposite each other on the sacred bridge, surrounded by the monuments of their ancestors, with the mists around them. Who are the two figures facing each other? One is armoured and the other has the look of a simple farmer. What is about to happen? Do they fight or bow and let each other pass? Why is the temple and bridge here? Where in the world could this take place? When did this take place? Is it a moment of legend or a portent of something to come? There are many other awesome and inspirational images on the web these days. Here’s a few more that you might enjoy or inspire you . Clicking on each image will open it in a new window. 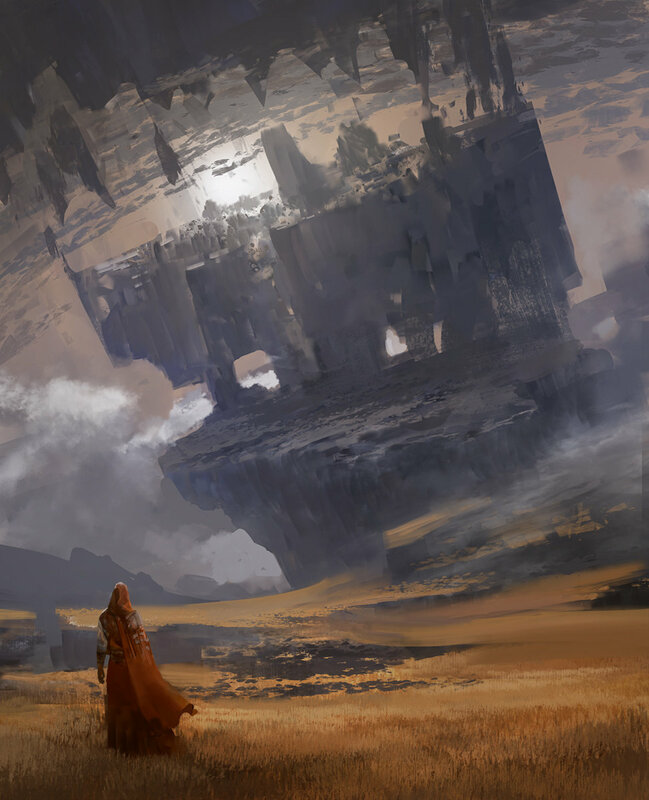 This weeks inspirational image is “Beyond Control” by Arnaud Pheu. Who is the lone figure? What are they after? Is it something inside the structure before them or is it the structure itself? Why is there a structure here? When did the event being witnessed occurred? The geode have been in their current position for an untold amount of time. As you walk among them, one cracks open,and within you see a humanoid figure, awake and exploring the new world that is open to them. Who is the person in the geode? What purpose do they serve? 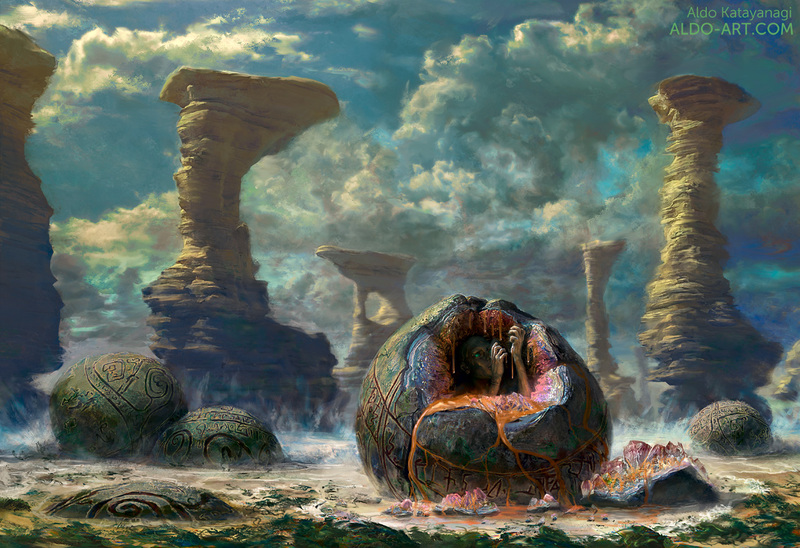 Are they egg-like spawn of another long forgotten creature or a way of preserving the last of a dying race? What are the meaning of the carving on the outside? Are they a blessing, instructions, a warning or a curse? What is the geode made from? Why where the geode left here? How long ago were the geodes made or formed? Just how long have they been here? 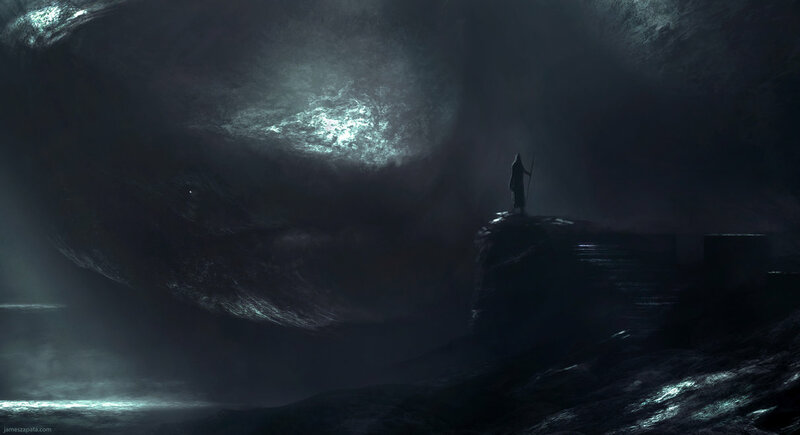 This weeks image for inspiration is “The Meeting” by Jameszapata. You have climbed the mountain for a chance to talk with a powerful and very ancient being. the clouds pass and what amounts to a force of nature comes down and meets your gaze. Who is this powerful being? What reasons do you have for seeking them out? Why have you risked your life to talk with this ancient creature? Where is this meeting place? When did this meeting take place?